Morning Pages: Don’t Speak. Don’t Judge. Don’t Fall Asleep. Browsing through the AMW blog, I came across the title, “Morning Pages: Don’t Speak. Don’t Judge. Don’t Fall Asleep.” And I thought, What a cute title. I wonder who the author is. A couple of clicks later I discovered the author was moi. I wrote it in 2014. Quelle surprise, as those of us who took one summer class in French just for fun say but can’t remember how to spell. (I looked it up.) I also found I kind of liked it,* and since it’s mine, I’m giving myself permission to re-post. Stream of consciousness, complain, whine, just move your hand across the page writing whatever crosses your mind until you get to the end of page three. Karleen stressed that she didn’t invent Morning Pages. 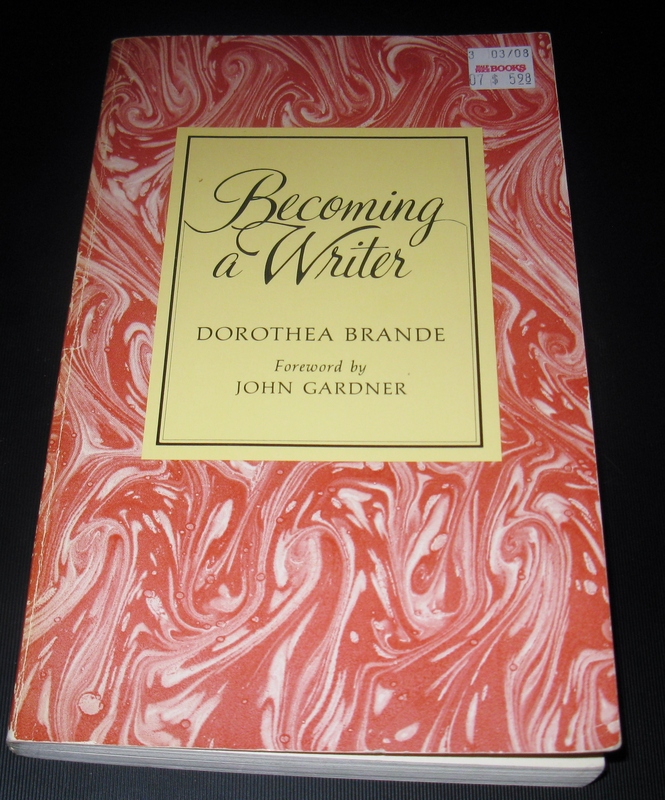 The technique, minus the name, came from the book Becoming a Writer by teacher Dorothea Brande, published in 1934 and reissued in 1981. Author John Gardner, in his foreword to the reprinted edition, states it was “astonishing” that the book had ever gone out of print. Julia Cameron, in her bestselling The Artist’s Way, published in 1992, named the process Morning Pages and made them the cornerstone of her Artist’s Way program. Cameron considers them a form of meditation. Why we do Morning Pages? To quiet the internal critic; to tap into the subconscious; to discover what you know; to remember and to capture the present; to build fluency, the ability to “write smoothly and easily when the unconscious is in the ascendant.” (Brande, p. 72) And, as Koen notes, to whine and complain. The morning after Karleen assigned Morning Pages, my roommate and I woke to my cell phone alarm at seven rather than the previous day’s eight. (I think that was the morning the phone flew from the nightstand and landed on the concrete floor.) I propped myself up on a couple of pillows, gathered the pen and the notebook I’d placed on the nightstand before retiring the night before, and started to write. While I wrote, my roommate sat on the side of her bed. Instead of picking up her notebook, she spoke. I reminded her we weren’t supposed to talk. She told me she didn’t care what we weren’t supposed to do. After violating the rules once or twice more, she started on her Morning Pages. In my usual all-or-nothing fashion (a tiny bit of OCD), I wrote through hand cramp and shifting pillows. Halfway through, I fell asleep. When I woke about a half-hour later, I resumed scribbling. My roommate had already finished her Pages. She had dressed. She had sat on the porch and drunk a cup of hot tea. She was smiling. Sometimes it is better to bend the rules. At break time, I quoted to Karleen the first sentence of my Morning Pages: I don’t like Karleen any more. (I said it in bold font.) She laughed and asked if I knew how funny I was. I didn’t tell her I was dead serious. I knew that before the end of the day I would like her again, and if I told the truth now, I would have to apologize later, and I just didn’t have the energy. Since I’m confessing, I might as well admit that, while I was scribbling, I figured out a fool-proof way to make Morning Pages a positive experience: Use a notebook with little tiny pages. They fill up faster. Looking back, I’m ashamed of the thought, but at the time it seemed a darned good idea. Sometimes it still does. Anyway. Having griped about that miserable experience, I’ll also admit that Morning Pages work. I’ve done them off and on since 1998, when I heard Julia Cameron speak at the Austin Whole Life Festival. A small group of young men stood outside Palmer Auditorium holding placards and begging attendees to abandon chakras and crystals and choose reason instead, while inside, Cameron shared the most reasonable ideas on stimulating creativity. Then I wrote. And whined. And complained. As I did, the garbage in my head oozed down my arm, through my hand, and onto the page. By the time I got to page three, my mood had lightened. When I turned to other writing, the garbage stayed trapped inside the Journal. Once the brain has been cleared of debris, words can flow. That’s my experience. Others have their own reasons for writing those three pages per day. But those who engage in the practice swear by it. Before leaving the retreat, I bought a special notebook for my return to Morning Pages. The signature on the cover looked like Dickens but turned out to be Darwin. No matter. Darwin and I are friends, too, and I wanted the green one. I’ve not yet made peace with going to bed at a decent hour. I’m trying. But when I stay up into the wee hours working on a blog post, my morning edges toward afternoon. Oh–I’ve just remembered: A situation unrelated to fatigue once interfered with Morning Pages. 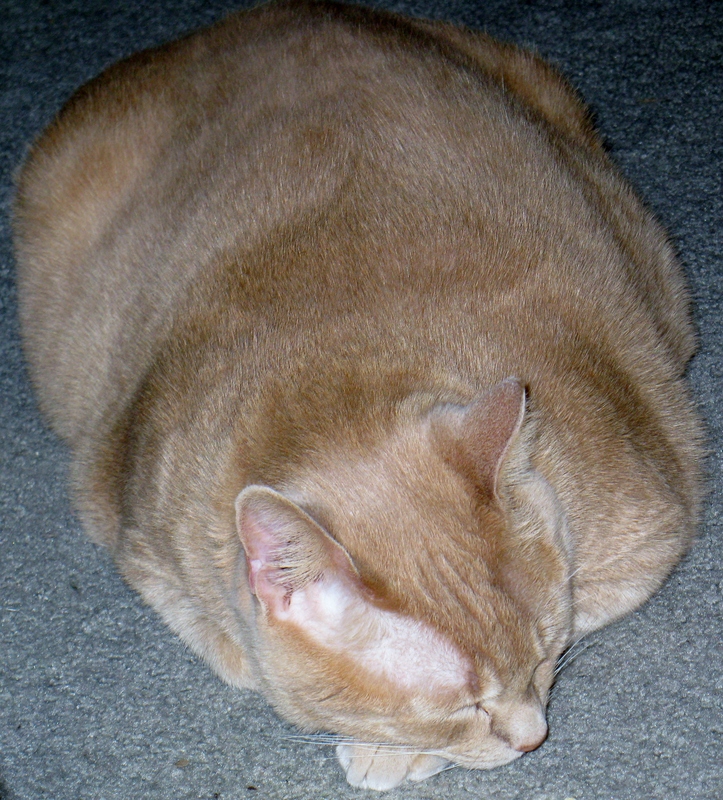 It involved the repaving of twenty miles of FM20, a wintry-cold house, and a new box of cat litter. But that’s a story for another post. * Re-reading old work and liking old work don’t always occur together. ** Morning Pages is about the only habit I’ve ever managed to break. *** I’m not sure about sleep being necessary for good writing of all kinds. I suspect Hemingway, Faulkner, and Fitzgerald might have stayed up past bedtime. But I bet Willa Cather kept regular hours. And, as people with any discernment at all recognize, Cather is at the very top of the American novelist pecking order. 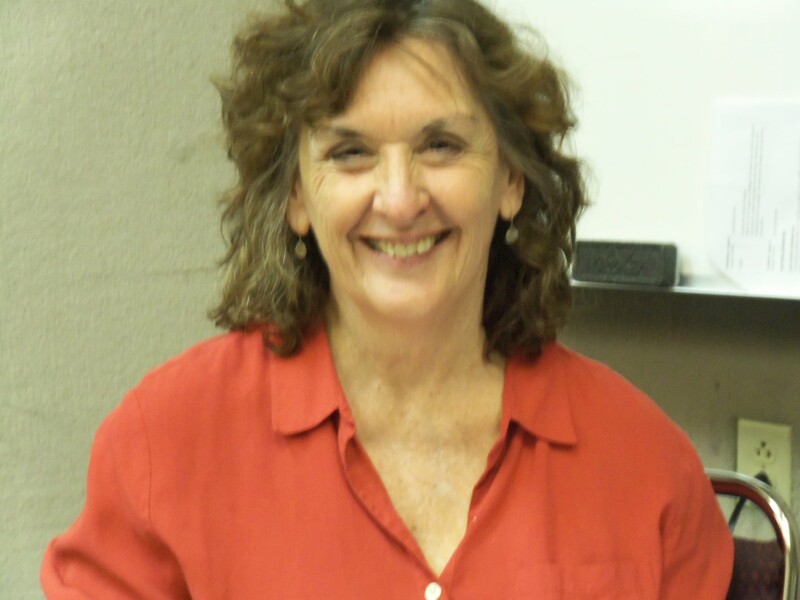 M. K. Waller (aka Kathy) blogs at Telling the Truth, Mainly Write (http://kathywaller1.com) and at the group blog Writing Wranglers and Warriors. She has set aside her novel manuscript for a while to concentrate on writing short stories. 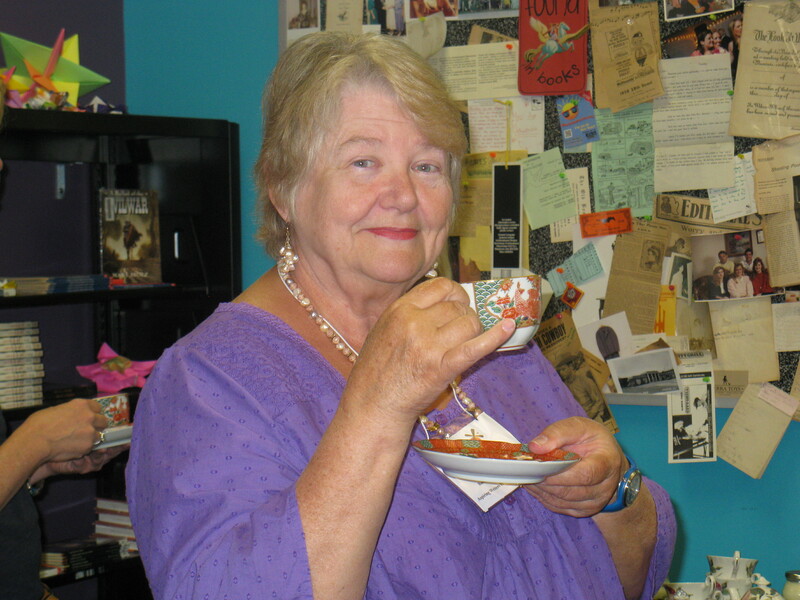 She likes writing short stories so much, she may declare the novel officially defunct. 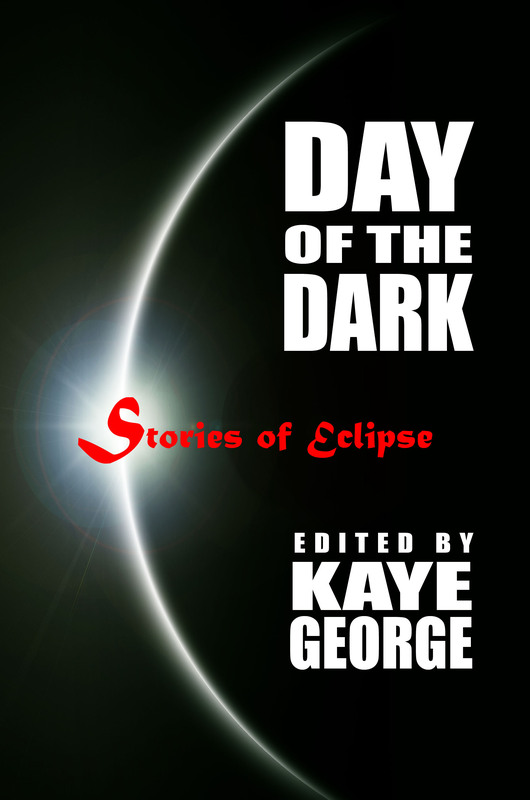 and in the brand new DAY OF THE DARK: Stories of the Eclipse, edited by Kaye George and released by Wildside Press on July 21, 2017. A second AMW anthology is with the publisher and will be out shortly. The following post first appeared on Writing Wranglers and Warriors. That’s what experienced writers tell the wannabes. For a long time, I thought business applied to action alone: Write every day, attend classes, network, become familiar with various routes to publication, learn the market, read submission guidelines, stay in good physical shape, and on and on… Items on a list, they could be checked off at the end of each day. Recently, I discovered another aspect of writing as business that I can’t quite fit onto a list. Last winter, Kaye George put out a call for submissions of stories for DAY OF THE DARK, an anthology to celebrate the total solar eclipse that will be visible from parts of the United States this summer. Each story would contain an element of mystery and would be related to an eclipse. Kaye would edit, and Wildside Press would have the book out before the August 21 eclipse. 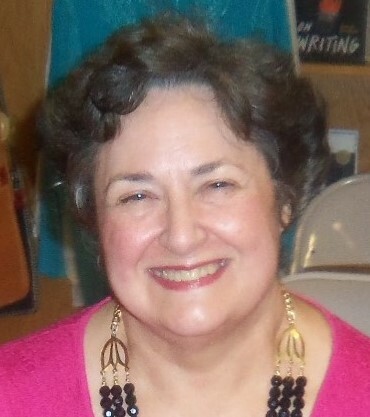 I’ve known Kaye for a number of years, ever since I joined Austin Mystery Writers, which she was facilitating. I watched as her career took off–a contract for one mystery series soon turned into contracts for three more series. At the same time, she wrote and published short stories and articles, and appeared on panels, and made it look easy. When I read her call for submissions, I didn’t consider sending a story. As usual, my mind was blank. My mind is always blank–what could I write about an eclipse?–until the last minute. As usual, at the last minute, I came up with an idea for a story. It dawned on me that–what a concept!–Kaye is a businesswoman. She intended to put out the best book possible. She would choose only stories that fit her purpose. I was a businesswoman. I would submit a story. It it was accepted, I would be pleased. If it was rejected, I would accept that as part of doing business, set the story aside, tweak it, submit it elsewhere. Or, if I discovered it wasn’t tweakable, I would set it aside and leave it there. Write, submit, be accepted/rejected, get on with life. Today, July 21, a month before the coming eclipse, DAY OF THE DARK is being released. It will be available in print and for Kindle. I’m thrilled my story was accepted for DAY OF THE DARK. I’m thrilled to be in the company of the twenty-three other writers whose stories appear there. And I’m thrilled to finally understand that the writing business is really a state of mind. To read more about stories in DAY OF THE DARK, see Debra Goldstein’s Day of the Dark Anthology!!!! – Part I . Part II will appear on July 31. Shop independent book stores! Buy the our anthology from Mystery People at Book People.